Washington’s Kurdish allies in Syria have become the US’ bargaining chip in negotiations with Ankara, according to Jean Perier, an independent researcher and expert on Middle Eastern affairs. “By throwing the Kurds under the bus, the White House has not only solved the problem of mending its relations with Turkey by preventing Ankara from strengthening its ties of friendship with Moscow. It has also significantly reduced the intensity of Ankara’s demands to extradite the self-exiled cleric Muhammed Fethullah Gülen by making this matter a purely legal question and thus facilitating Joe Biden’s mission in Turkey,” Perier writes in his article for New Eastern Outlook. Furthermore, Ankara’s statement that the Syrian conflict cannot be resolved without Russia has obviously hit the Obama’s administration raw nerve. To add more fuel to the fire, it was announced that Russian President Vladimir Putin may visit Ankara on August 31. “Under these circumstances, Washington has decided to go all-in with a bid to mend its relations with Ankara by sacrificing its new-found Kurdish friends,” Perier underscores. As a result, Turkey launched a ground offensive against Daesh (ISIS/ISIL) on August 24 with Washington’s “blessing” and assistance in northern Syria. However, Western media sources called attention to the fact that amid its anti-Daesh campaign the Turkish armed forces targeted the Kurdish People’s Protection Units’ (YPG) fighters and demanded that they return from the Syrian town of Manbij to the eastern bank of the Euphrates. Turkish President Erdogan’s motivation is understandable: he wants to prevent the Kurds from creating an independent entity in northern Syria, along the Turkish border. The YPG “has been Washington’s most effective proxy in the fight against Islamic State in Syria. 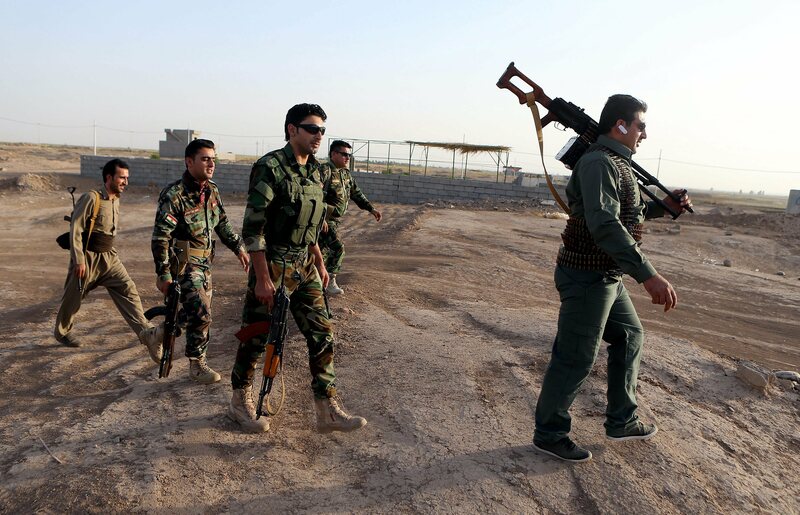 Its fighters-ethnic Kurds, Arabs and Yazidis are doing the bulk of the fighting. Without them, Islamic State [Daesh] would have seized northern Syria long ago, posing an even larger risk to Turkey,” the Wall Street Journal highlighted Wednesday. “As for Syria’s Kurds who Washington previously used to achieve its goals in the Middle East, they have become a bargaining chip that the White House is willing to sacrifice. Once the Kurds have fulfilled their role, their interests can easily be neglected by the US with Washington preferring to restore its ties with Ankara instead,” Perier remarks. “Now that the US pressured the YPG into leaving Manbij, it is most likely that the northern Syria will be divided into “spheres of influence” with the US’ brokering. It is of great importance for Americans to prevent large-scale clashes between their allies [in the region]. I believe that the United States will continue maneuvering between the Turks and the Kurds while trying to maintain relations with both,” Isaev suggested. “Although today Washington was ‘bearing gifts’ to Ankara at the expense of Syria’s Kurds, tomorrow any other ‘strategic partner’ of the White House may find itself in the shoes of those forsaken Peshmerga fighters,” Perier warns. UK’s Envoy to Libya – Peter Millett is upping finance to GNA and Terrorist HQ in Libya last 48 hours – so it looks as if the Zionists are “Banking” and “Investing” in Raqqa allied forces to get them back on side and “Plan B”.